Several generations of Burgums of the "AA", "FF" and the "RR" family tree lived at Mitcheldean, in the Forest of Dean. The National Gazetteer of Great Britain and Ireland, 1868 describes the following - MITCHELLDEAN, (or Micheldean), a parish and post town in the hundred of St. Briavel's, county Gloucester, 2 miles S. of Mitcheldean Road railway station, 6 N.W. of Newnham, and 11 W. of Gloucester. The village, which is of ancient date, was formerly held by the Greyndours. There are coal and iron works, also tanneries. The parish, which is of small extent, is situated within the limits of Dean Forest. The living is a rectory in the diocese of Gloucester and Bristol, value £141. The church, dedicated to St. Michael, is an ancient stone structure with a lofty spired tower 156 feet high, containing a clock and eight bells. The church has a carved oak roof and wall paintings of Edward IV. 's time. It contains several old tombs and an antique font. The parochial charities produce about £89 per annum, of which £62 goes to Lane's free school for both sexes. There is a place of worship for the Independents. The Wilderness is the principal residence. Maynard Colchester, Esq., is lord of the manor. 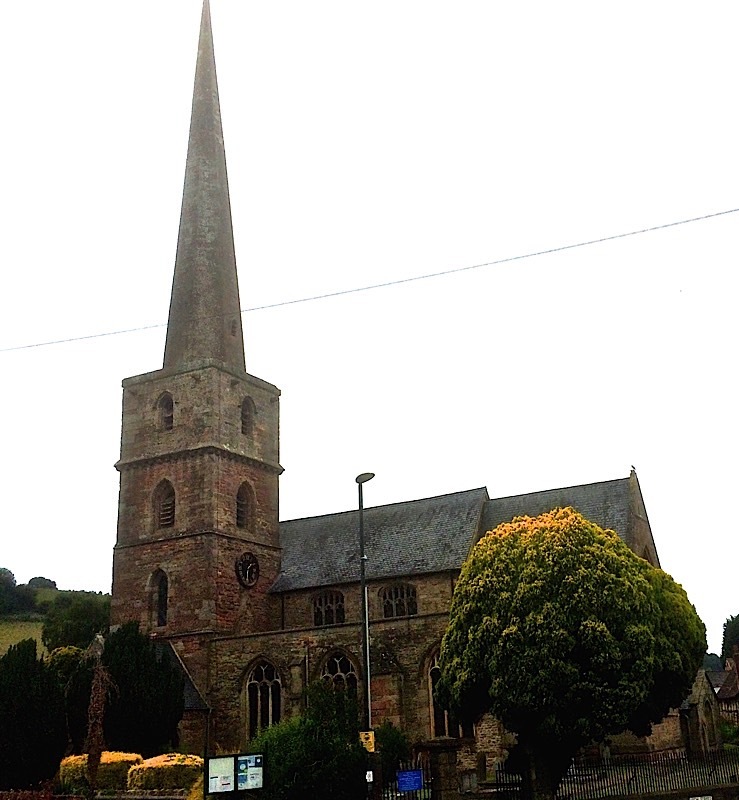 MITCHELDEAN, MITCHELL-DEAN, or DEAN-MAGNA, a village and a parish in Westbury-on-Severn district, Gloucester. 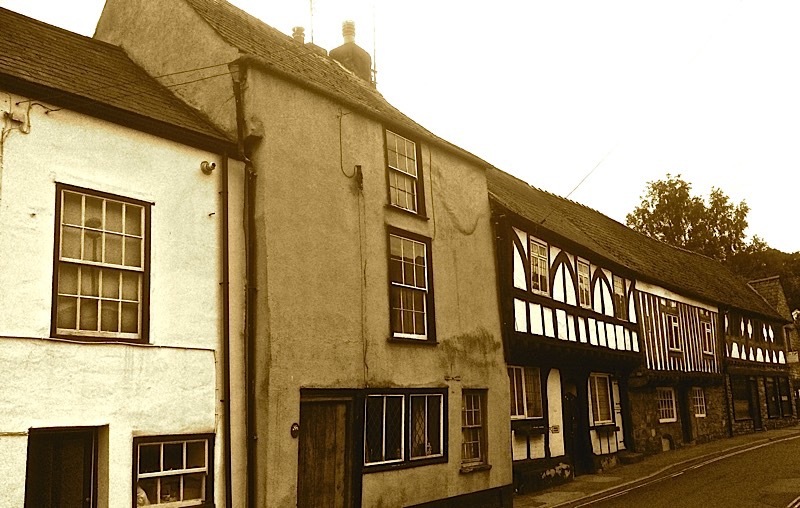 The village stands in Dean Forest, 1 mile E of the boundary with Hereford, 2 S of MitcheldeanRoad r. station, and 5 NNW of Newnham; is an ancient place; takes its name partly from the word "mickle ''or. great, and partly from its situation in Dean forest; and has a post office,‡ of the name of Mitcheldean, under Newnham, a good inn, a police station, and fairs on Easter Monday and 12 Oct. The parish comprises 680 acres. Real property, £2,637. Pop., 689. Houses, 144. The property is divided among a few. The manor and much of the land belong to the representatives of the 1ate Maynard Colchester, Esq. The Wilderness is the seat of Mrs. H. Davis. Coal and iron ore are worked in the neighbourhood. The living is a rectory in the diocese of Gloucester and Bristol. Value, £176. * Patrons, the representatives of the late M. Colchester. 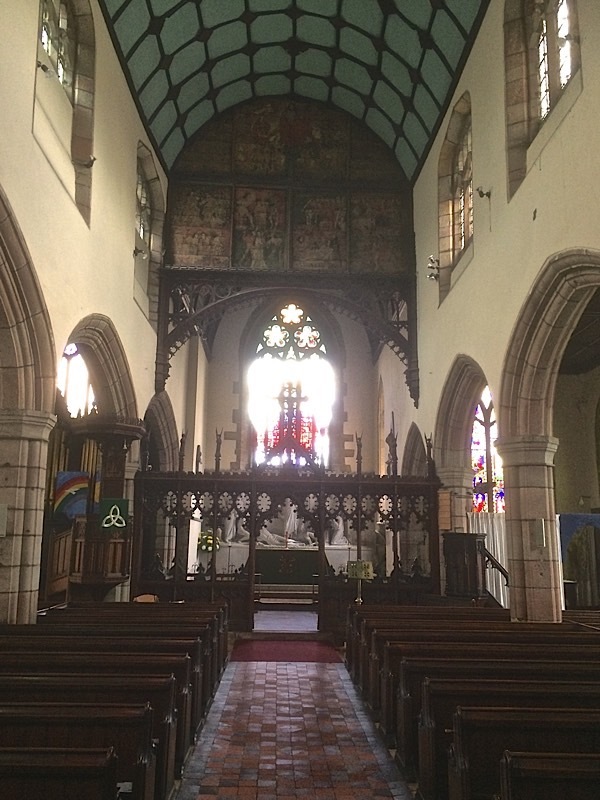 The church is chiefly later English; was recently restored; consists of nave, S aisle, two N aisles, chancel, and porch, with tower and lofty spire; and contains an ancient font, some wall-paintings of the time of Edward IV., and several old monuments. There are an Independent chapel, an endowed school with £81 a year, and charities £27. 1861 Census at Merrin Street, Mitcheldean (CS1861-3); James Burgum, Ann Burgum, Mary Ann Burgum (dau), Frances S. Burgum (dau) and Lucy M. Haskins (gd-dau); FF family tree. 1871 Census at Hawker Hill, Mitcheldean (CS1871-63); James Burgum (builder), Ann Burgum, Frances Burgum (dau, a clerk); FF family tree. 1881 Census at Merrin Street, Mitcheldean (CS1881-79); James Burgum (carpenter), Frances Burgum (dau); FF family tree. 1891 Census at Merrin Street, Mitcheldean (CS1891-15); Mary Ann Burgum (China shop dealer), Frances Burgum ; FF family tree. 1901 Census at Hawker Hill, Mitcheldean (CS1901-15); Mary Ann Burgum (China and earthware dealer), Frances Burgum ; FF family tree. James Burgum, of the "FF" family tree, was born at Aston Ingham, but later moved to Taynton. By 1851 theyhad moved to The Cross, at Abenhall, where James was working as a cooper. (CS1851-13). By 1871, they were living at Hawker Hill, Mitcheldean (CS1871-63). Ann Burgum died in 1878 and James Burgum died at Mitcheldean in 1883. In 1891 their daughters Mary Ann and Francis S. Burgum were running a china shop at Merrin Street, Mitcheldean. 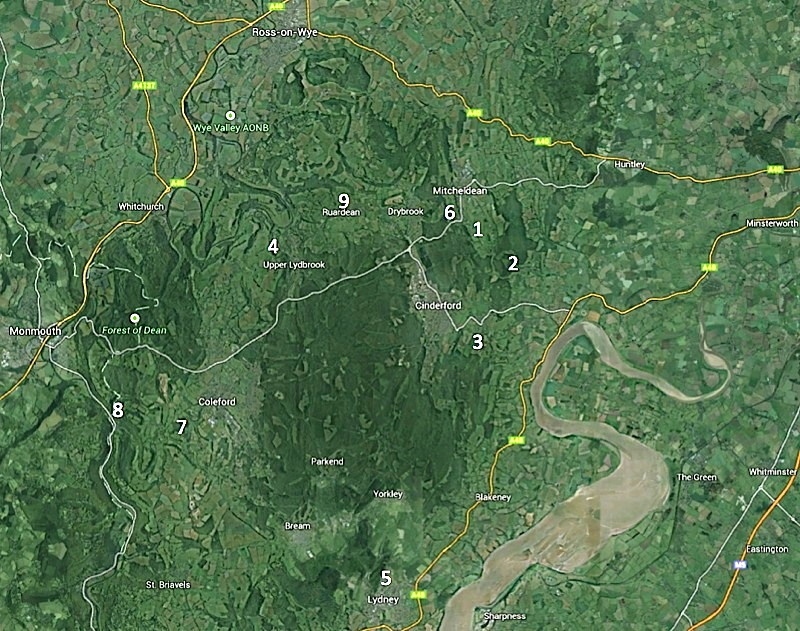 The map below shows the principle areas in the Forest of Dean where Burgums and Burghams lived.